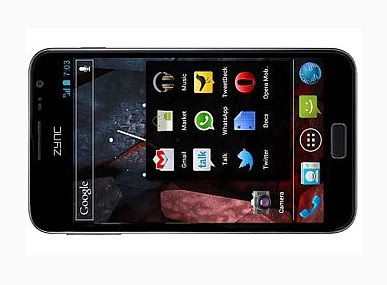 Zync Cloud Z5 Dual-SIM (GSM + GSM) Android Phablet launched in India, Priced at Rs. 11,990. 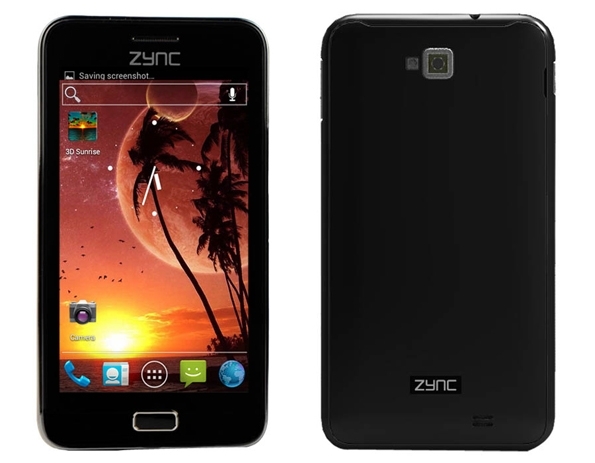 Zync entered the phablet segment in October last year when it unveiled the Zync Cloud Z5 for Rs. 9,490. Now, the company has launched the dual-core variant of the device. 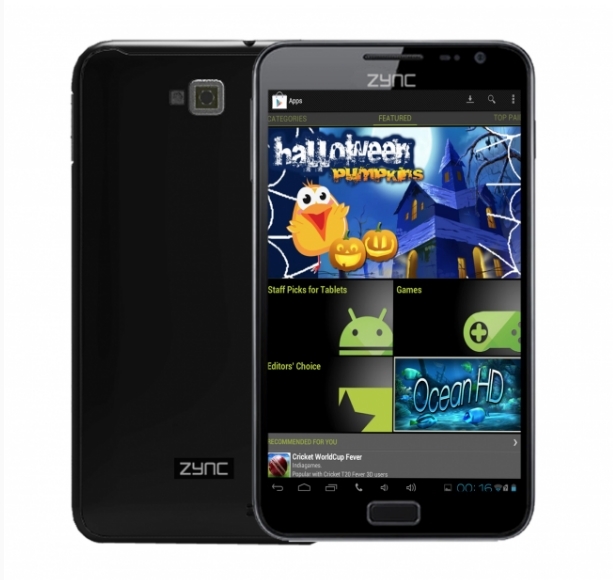 The Zync Cloud Z5 phablet come with 5-Inch TFT LCD 5 Point Capacitive Multi-Touch screen with 800 x 480 pixel screen resolution. The phablet runs on Android v4.0 (Ice Cream Sandwich) operating system and powered by 1.0 GHz dual-core processor, 512 MB DDR3 RAM, and 2500 mAh Lithium-Ion rechargeable battery. The phablet has 4 GB internal storage space and it expandable up to 32 GB via MicroSD card slot. The company also included a 4 GB MicroSD compactable flash drive for free with the phablet. The device sports an 8.0 Megapixel Primary camera with LED flash light. There's also a 0.3 Megapixel front-facing camera. The device features connectivity facility via 3G, Wi-Fi, GPS, Bluetooth, Micro USB v2.0 and 3.5 mm audio jack included. The phablet come with pre-loaded apps such as Bollywood Hungama, lbibo Games, Zomato, Facebook, Twitter, Linkedin, Angry Bird etc.. Angry Birds, Fruit Ninja, etc. The Zync Cloud Z5 Phablet will be available with various online retailers like Snapdeal, Naaptol, IndiaTimes, HomeShop18, Infibeam, Shopclues, Indiaplaza, The Mobile Store etc. The company is offering a one year comprehensive warranty for the tablet and also a pick up and drop facility in case there is a problem that occurs while using the device.